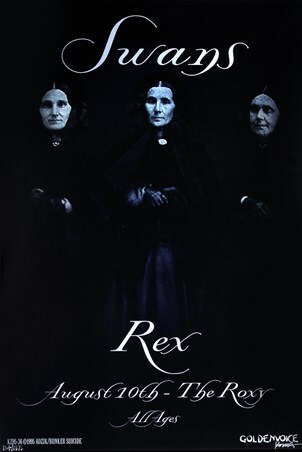 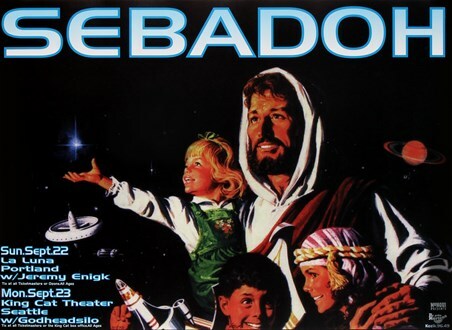 Rare Art Print: This stunning limited edition, signed (by the artist) and numbered art print was created by graphic artist Frank Kozik who produced a wide variety of fantastic advertising posters. 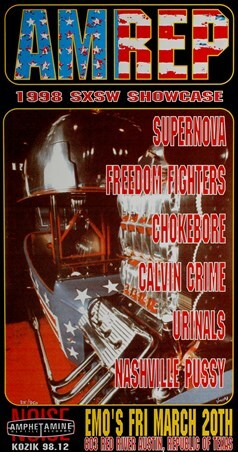 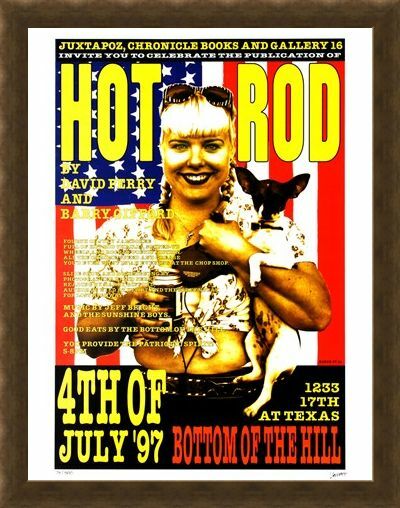 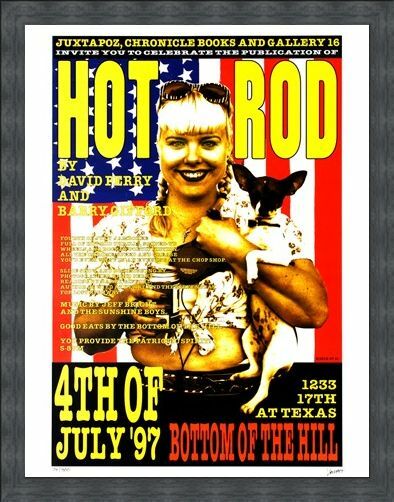 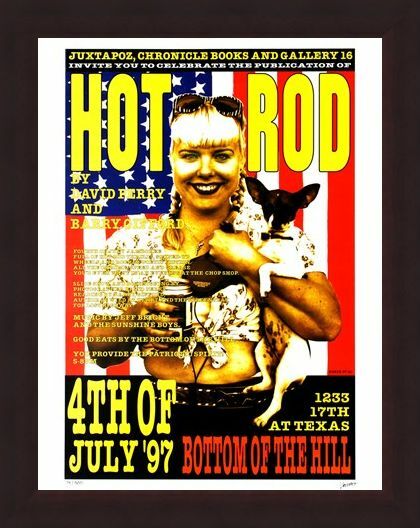 This one, advertises the book release of Hot Rod by Barry Gifford and David Perry on the 4th July 1997 at the bottom of the hill in San Francisco and features a bright American flag in the background. 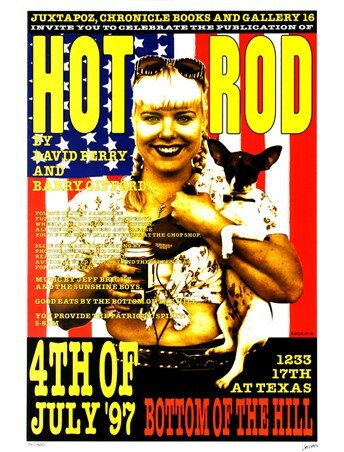 Hot Rod was a mainly picture oriented book, which featured salt lake racing from the 50's-60's. 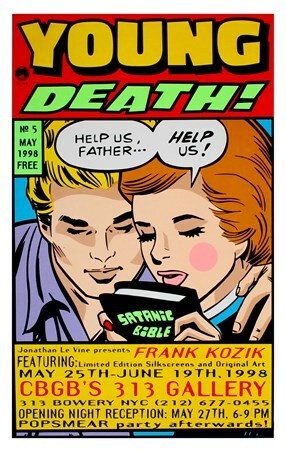 So if you are a fan of the book, or if you simply collect rare, limited edition, numbered advertising prints, then one, signed by Frank Kozik himself, would be a very special one for you. 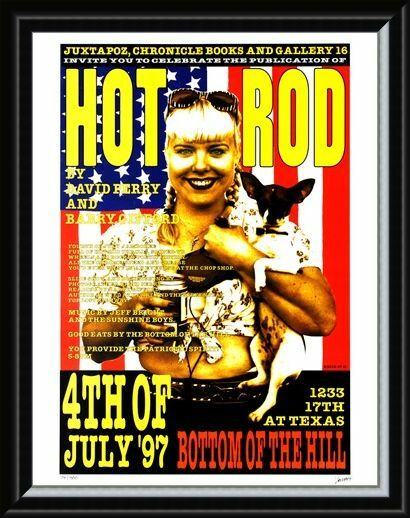 High quality, framed Hot Rod, Frank Kozik limited edition print with a bespoke frame by our custom framing service.